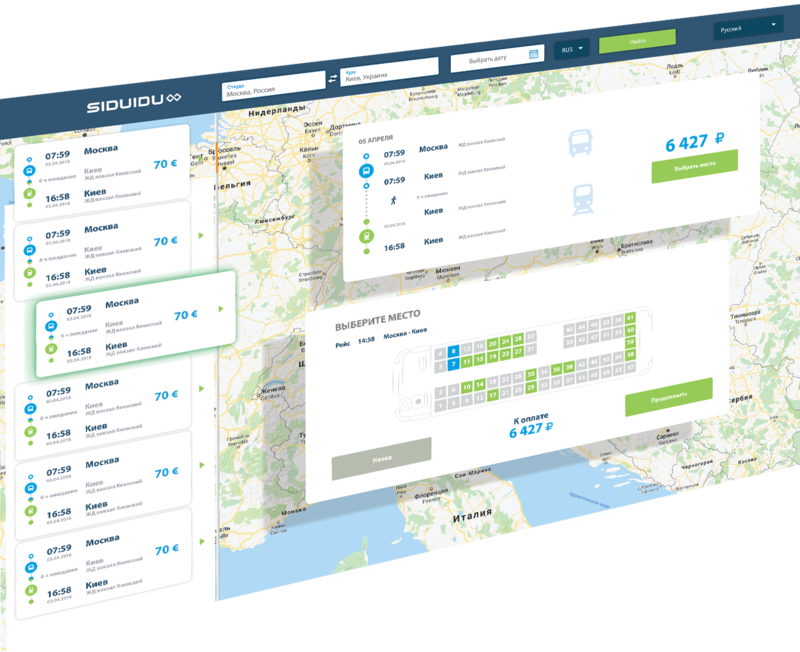 You choose the departure point and destination, and INFOBUS finds for you options for direct flights and routes with a transfer, so you can easily get from point A to point B.
Siduidu offers you several options for routes. You can compare and choose the fastest, cheapest or most suitable for you and buy an online ticket in just a few minutes. Convenient display of direct and combined flights. Information on the map about the itinerary. The layout of seats in the bus and train with the choice. Make a ticket purchase quickly and easily! For more than 10 years, the company has been developing and supporting a comprehensive software product for transport enterprises, introducing the latest developments and advanced technologies in the area of passenger transportation.